The 1970s were truly a decade of excess. I have chronicled this in previous posts such as the Custom Cloud and the 1970’s revival of the Stutz Blackhawk. This decade was also a popular time for neo-classic automobiles, which I have also written about extensively for this site. 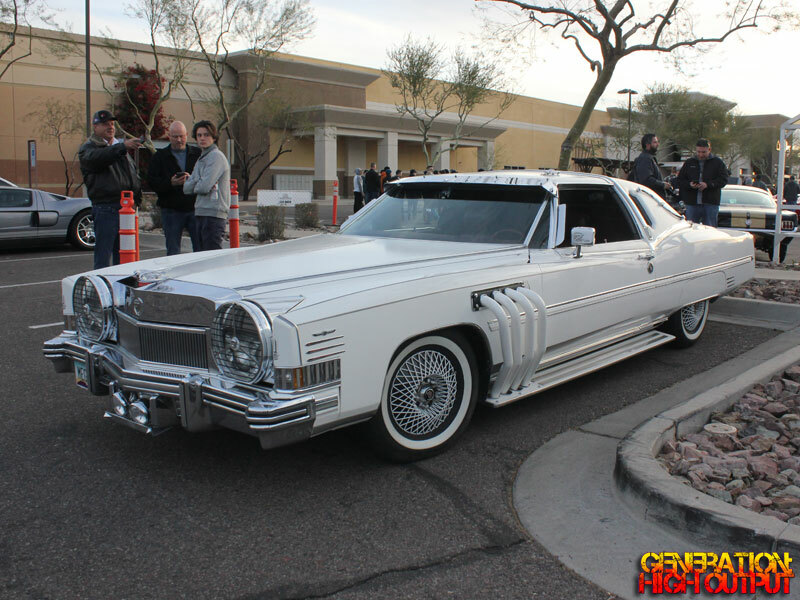 Today we feature another artifact of this decade that I recently came across at a car show: the Cadillac El Clasico. It’s hard not to use terms like “pimp mobile” or “pimp car” when admiring this vehicle, as it certainly looks like the product of one person with too much money and questionable taste. However, these cars were actually converted in small numbers by Wisco Corp., a coachbuilder formerly located in Roseville, Michigan. One source I read said that approximately 100 vehicles were given the “El Clasico” treatment, though I was unable to verify this. Wisco took a car that was already a standard of luxury and prestige and just added MORE to it. More chrome, more trim, more everything. The car’s exterior is extremely busy. 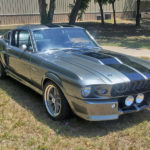 Most notable are the completely unnecessary exhaust header extensions that exit through the front fenders and pass through the running boards to the rear of the vehicle. The hood was not open on this car, so I could not verify if they were functional or simply a decoration. Up at the front, an oversize waterfall grille and hood ornament are all done in chrome. The standard headlights are shrouded by oversize covers that resemble a 1920s car. A pair of fog lights were also added. Again, “more is more” was the mantra here. 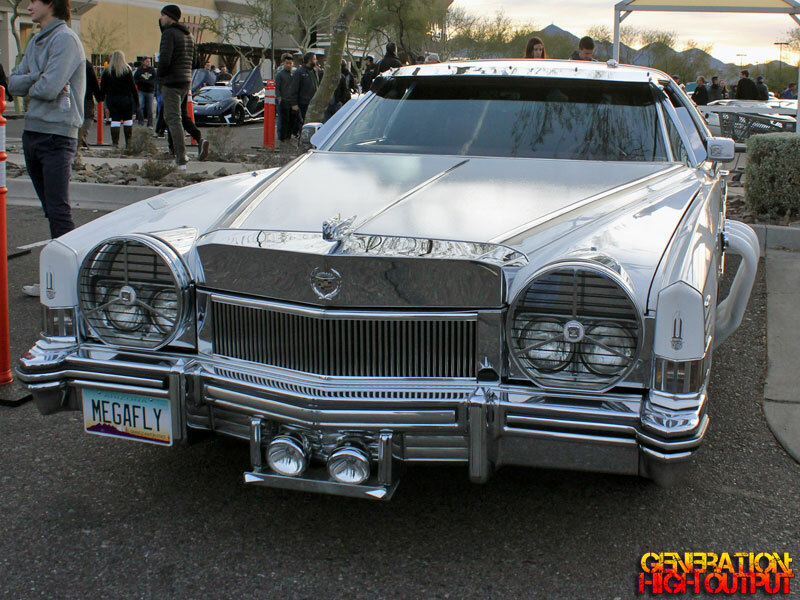 With so much chrome, the fixed exterior windshield visor was probably a necessity to prevent the driver being blinded by the glare of his own vehicle. 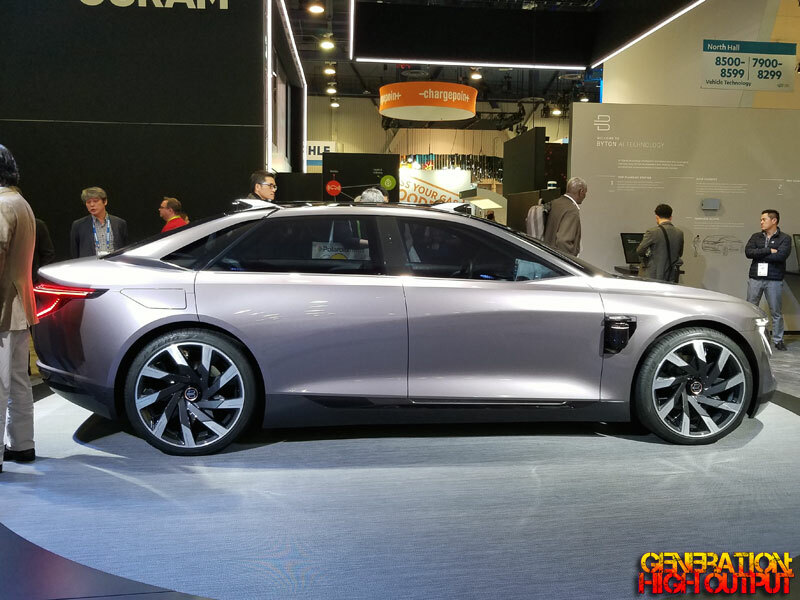 From the rear, the car has a vinyl roof with a Landau bar, and miles of chrome trim adorning the body lines, window trim, and just generally stuck on all over the place – such as behind the rear wheel arches. It has running boards, similar to those found on full size vans. 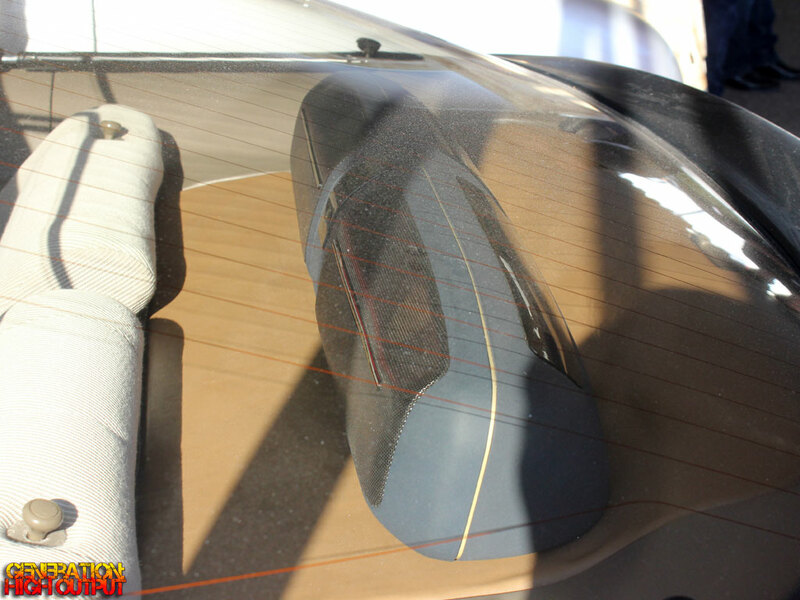 It has decorative trunk straps similar to the Excalibur, though these are not functional. The car sports dual exhaust with horizontal tips. The wheels are quite unusual and I don’t know how to describe them other than white wire wheels. Interestingly, this car does not have a Continental Kit at the rear, which would have involved relocating the license plate. It also does not have spare wheels mounted on the fenders, another common feature on neoclassic cars. 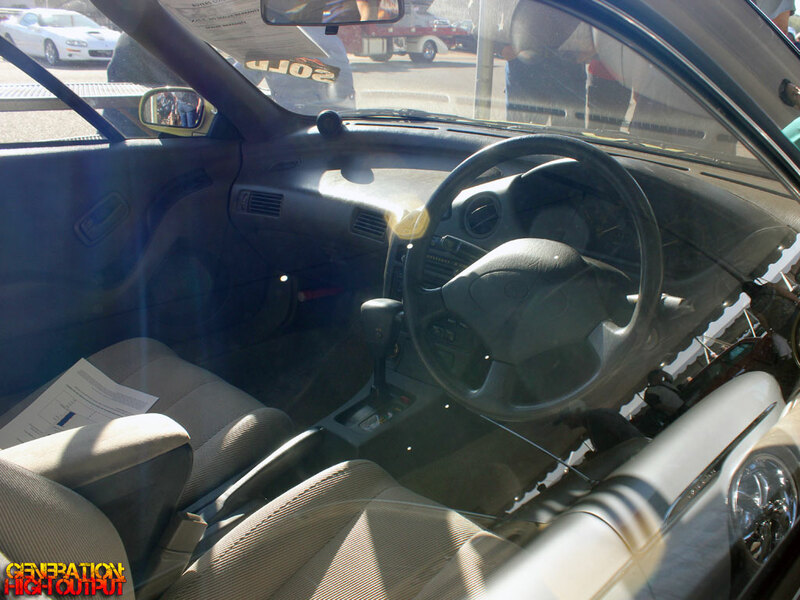 The interior is actually the most tasteful part of this car. It seems to have been updated with a leather trimmed center console integrating an iPad. 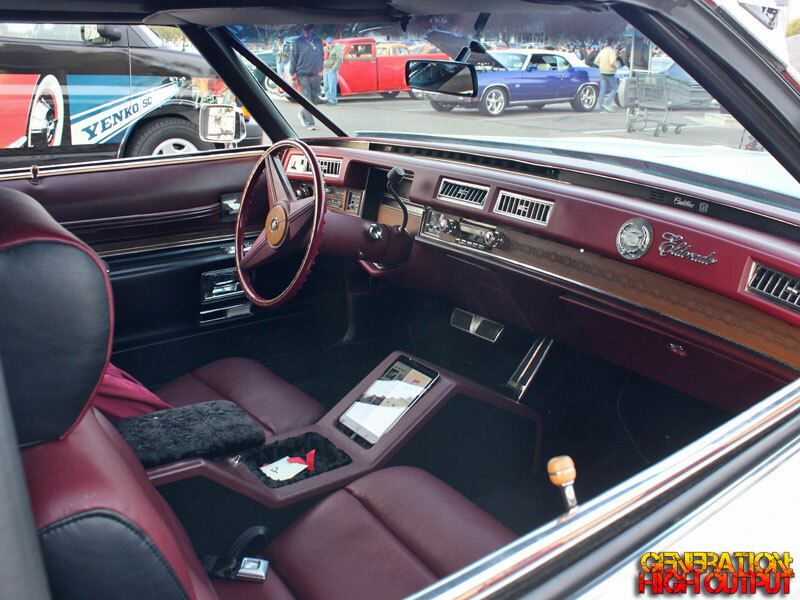 The dark red and black leather upholstery looks right at home with the 1970s era wood. I would have expected this car to have swivel seats and an all white leather interior! A brand-new 1972 Cadillac ElDorado 2-door hardtop coupe would have cost about $7,360 when new. The Wisco conversion added about $3,630 to the price, for a total of $10,990 in 1972 dollars. Adjusted for inflation, this car would cost the equivalent of $66,705 in 2018. 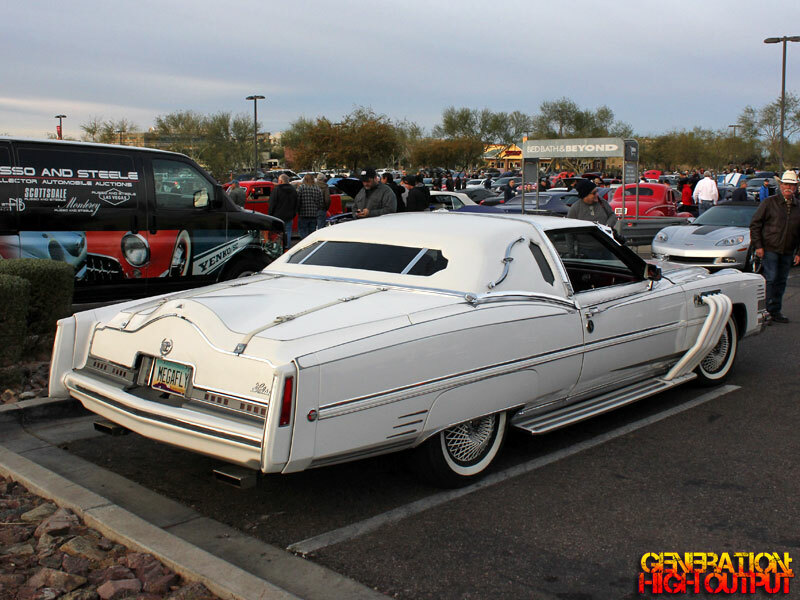 There’s not a ton of information about Wisco or these El Clasico Cadillac conversions online, so if you have any information, please do share it with us! While collector car auctions like Barrett-Jackson and Russo and Steele capture much of the media spotlight during Arizona Car Week, there are other auctions like RM Sotheby’s that cater to the true enthusiast. 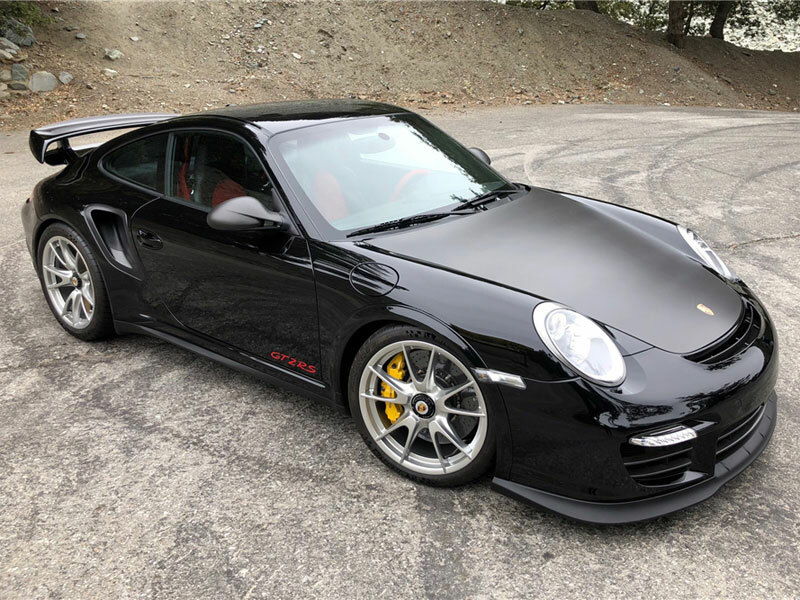 Though their catalog is much smaller at around 200 vehicles, I find that RM Sotheby’s offers a wide variety of classic and contemporary cars, each one of which is truly outstanding. 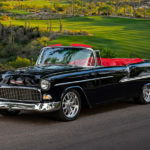 The following are some personal highlights of cars I spotted at their 2019 Scottsdale Auction, held at the prestigious Arizona Biltmore Resort. While I would love to do a feature on every car in their catalog, time simply does not allow such a luxury. I have chosen some of the cars that I feel represent the quality and selection one would find at an RM Sotheby’s event. Every Ferrari is special, but this one is really something to write home about! This 1957 250 GT Speciale is a one-off custom bodied car by Pininfarina that was built for Lilian, Princess of Réthy, the royal lady of Belgium. The car was appraised at $11 to $13,000,000 by experts, but it did not meet the reserve price, with the highest bid received of $7,500,000 according to Hagerty. The Tucker 48 is today appreciated as an automobile that was far ahead of its time. Just 51 cars were ever built before production ended. RM Sotheby’s is no stranger to Tuckers. They sold chassis no. 44, the legendary Ohio barn find car, at the Scottsdale 2017 auction for $1,347,500. Chassis no. 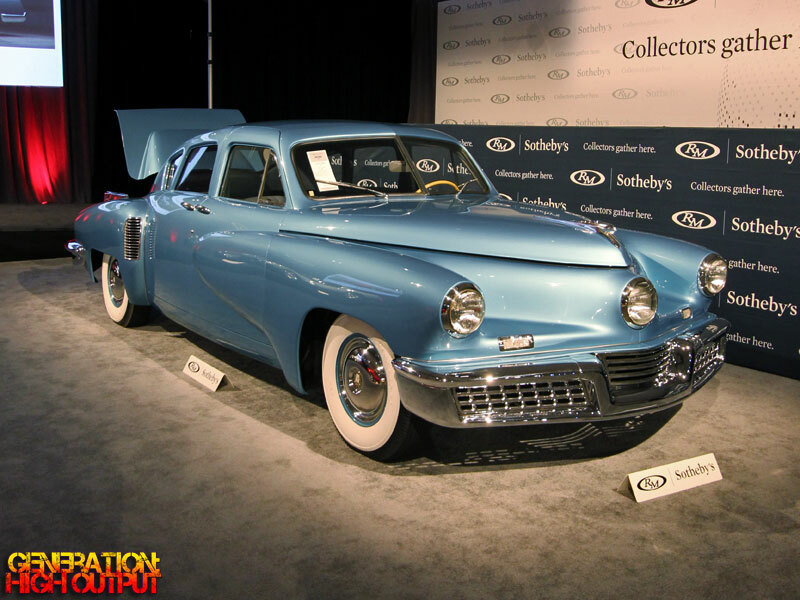 29, Preston Tucker’s personal car, crossed RM’s auction block in 2018 for a handsome $1,792,500. Now in 2019, chassis no. 40, a beautifully restored blue car (shown above) sold for $1,600,000 (including buyer’s premium). 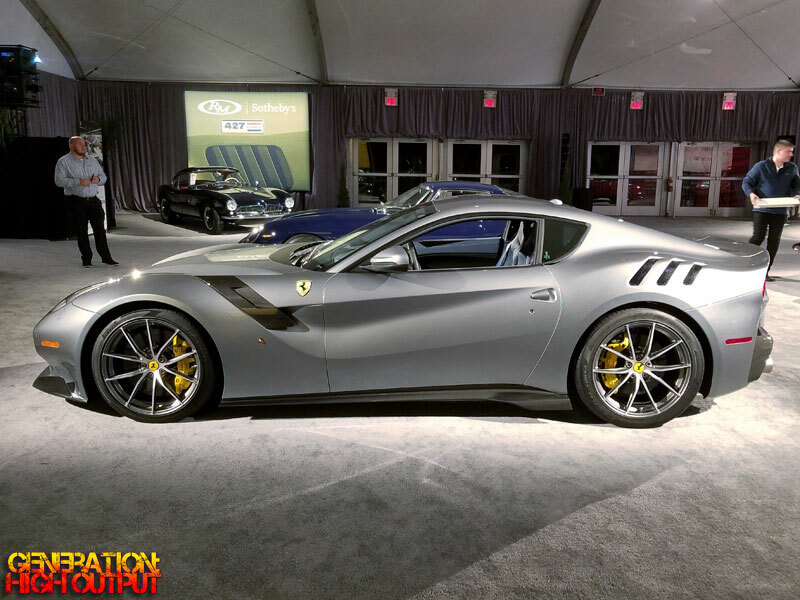 The F12tdf is a limited production car, 1 of just 799 produced. With 769 horsepower from a 6.3L V12 naturally aspirated engine, this is the sort of car that becomes an instant collectible. This car is finished in Grigio Titanio and has fewer than 300 miles on the odometer. It sold for $1,006,000 (including buyer’s fee). 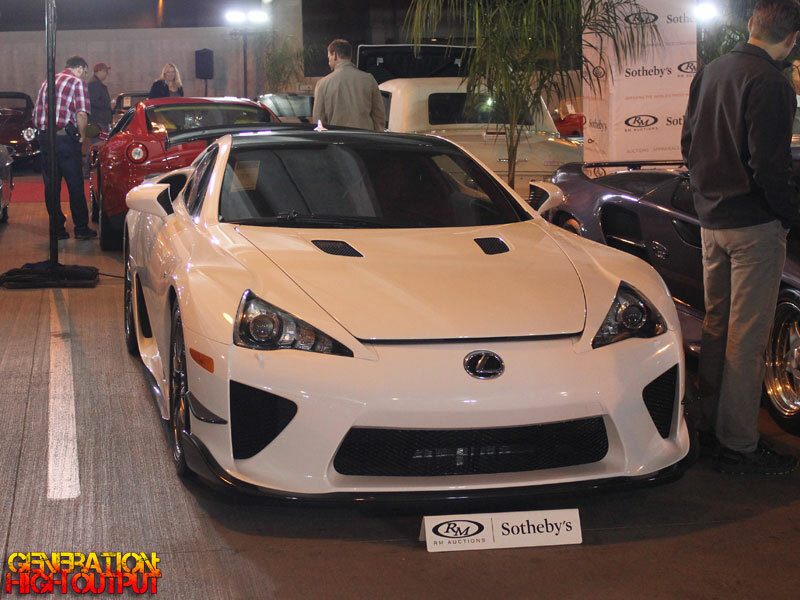 The only Lexus supercar to date, the LFA is one of just 500 produced worldwide. Of those, just 50 units received the Nurburgring package. This one, #485, has just 54 miles on the odometer and is finished in white with a red and white leather interior. The V10 powered supercar sold for $885,000 (including buyer’s premium). 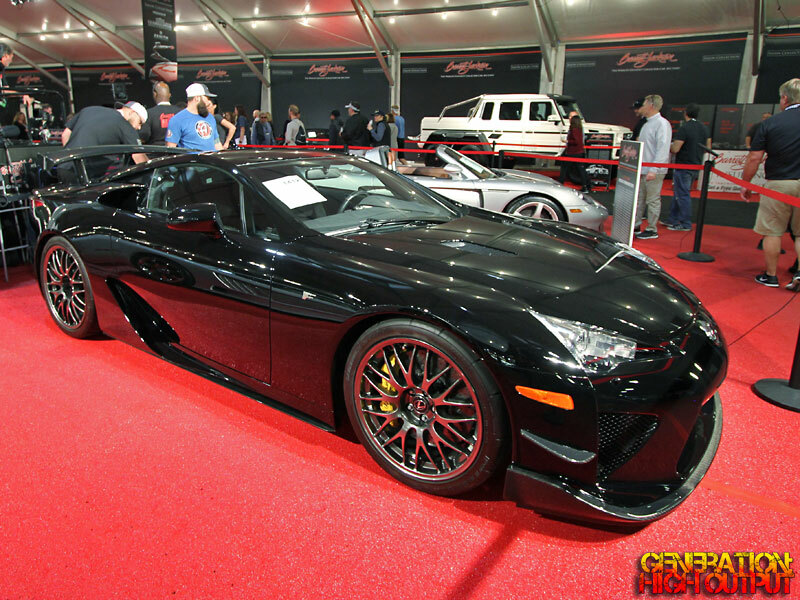 A few days after this sale, a black LFA Nurburgring (#301) sold for $918,500 (including buyer’s premium) at Barrett-Jackson. An unbelievable pair of supercars were offered for sale at RM Sotheby’s Scottsdale 2019 auction: a pair of Vector automobiles from the personal collection of founder Jerry Wiegart. 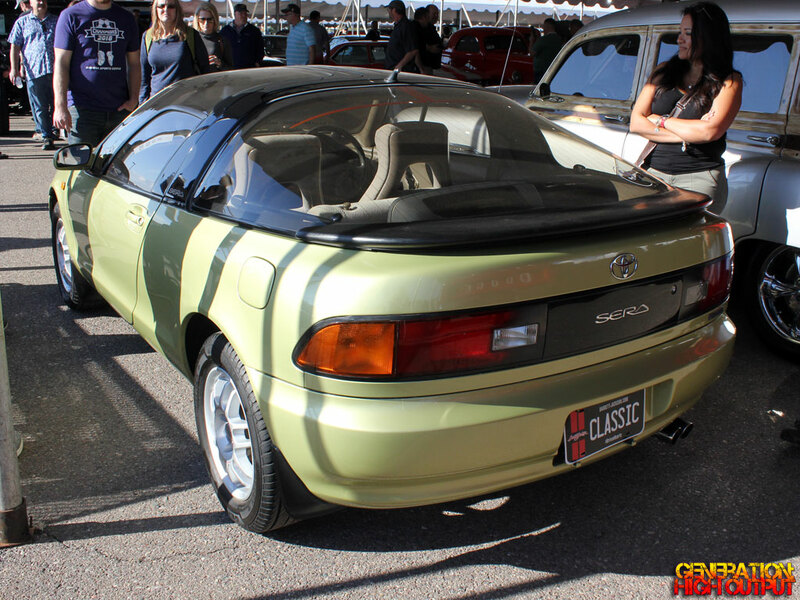 Both the WX-3 Coupe Prototype and the WX-3R Roadster Prototype were shown at the 1993 Geneva Motor Show. The American-built supercars feature wild bodywork and a twin-turbo 7.0L V8 engine producing a staggering 1,000 horsepower. The car sold for $615,500 to Florida businessman and supercar enthusiast Kris Singh (@lamborghiniks). 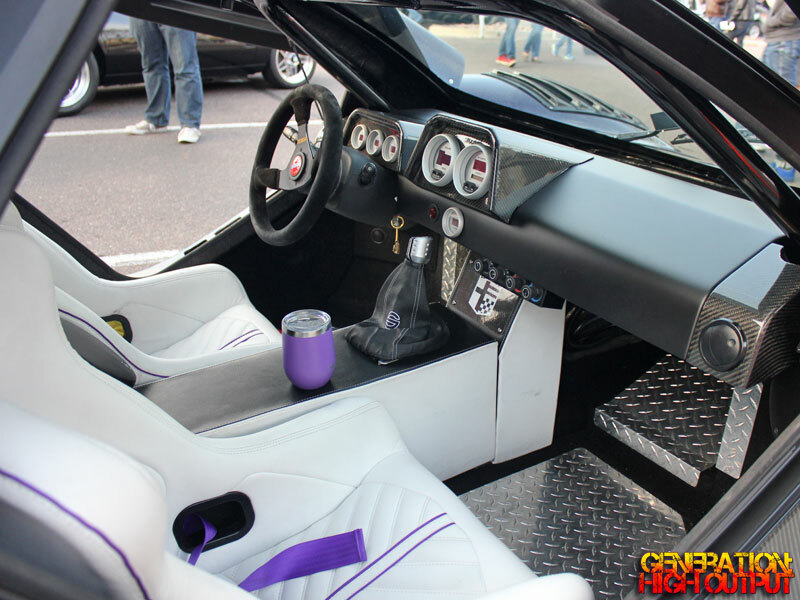 The Roadster version of Wiegart’s Vector is even more wild than the Coupe, with its amethyst purple color and wrap around glass. The car was purchased by Kris Singh for $500,000. 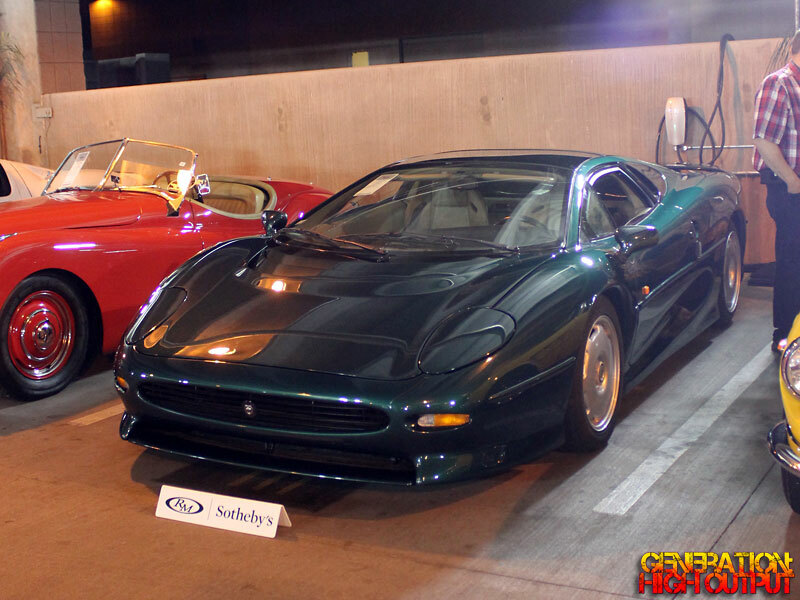 An extraordinarily rare number of people are privileged to own an XJ220, and this car is just 1 of 275 built. This particular car, finished in Silverstone green, was originally purchased by Tom Walkinshaw for his personal collection. The car has just 9,000km since new. 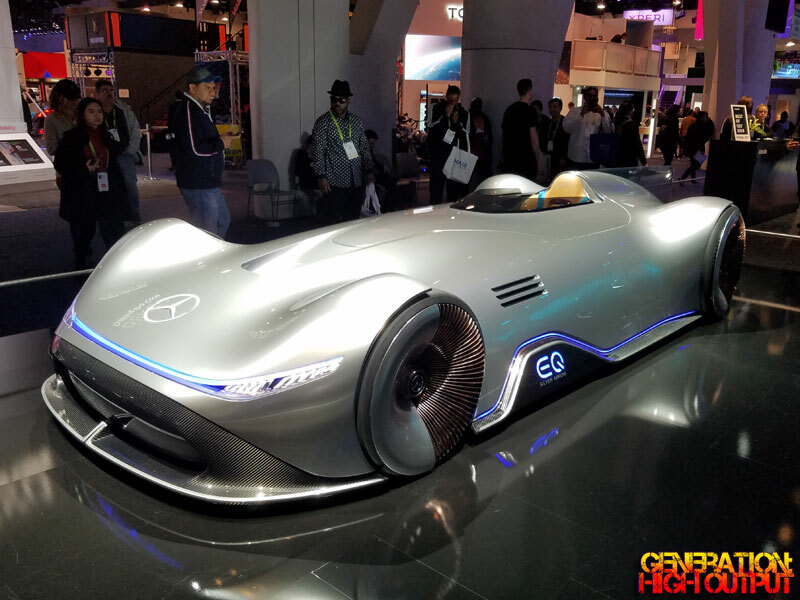 The car had an estimate of $400,000 to $500,000, but failed to sell when bidding peaked at $375,000 as reported by Automobile Magazine. 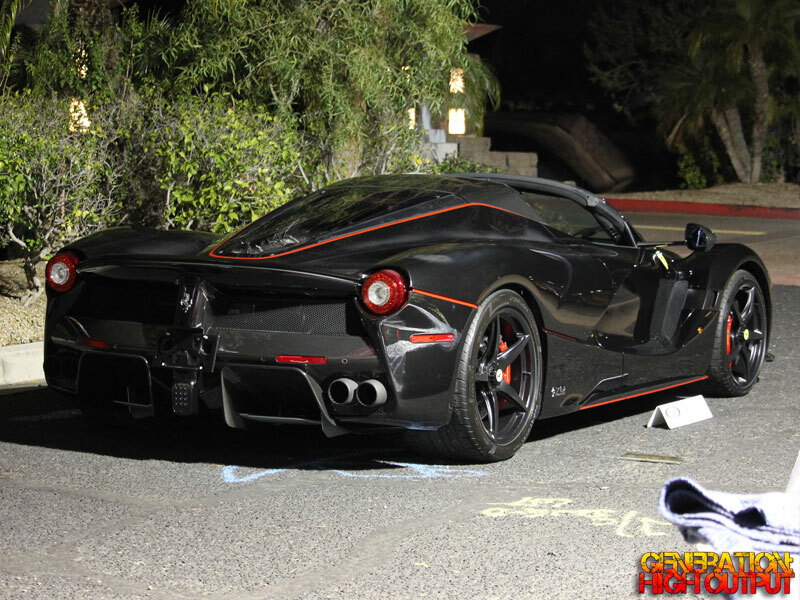 The current “Halo Car” from Ferrari, the LaFerrari Aperta is 1 of 210 Aperta models produced. 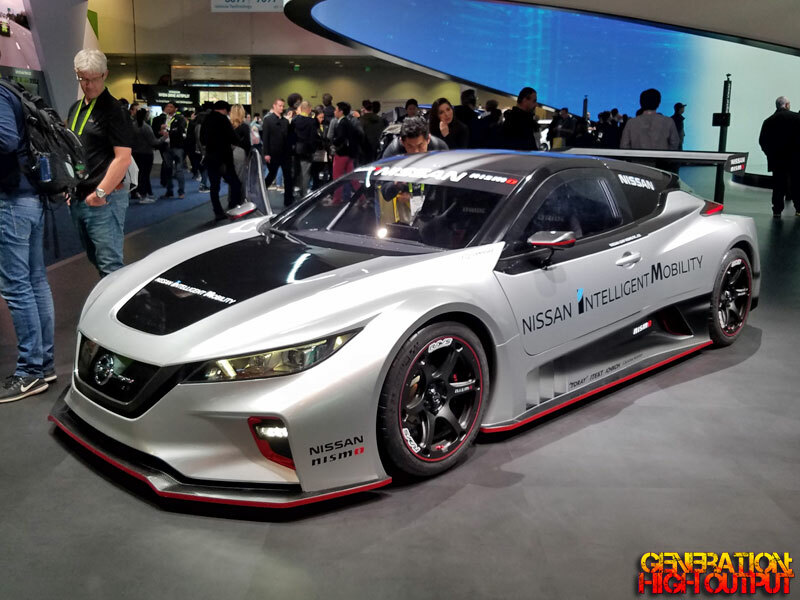 With a combined 789 horsepower from a V12 engine and a mild hybrid electric motor, the car has a top speed of 217 mph. Appraised at $6,500,000 to $8,500,000, the car did not meet the reserve price with the high bid placed at $5,500,000. The Ferrari 288 GTO (Gran Turismo Omologato) is a street-legal version of a racing car that was sold in order to meet homologation requirements for racing. Just 272 examples were built, making it the rarest of Ferrari’s modern supercars (along with the F40, F50, Enzo, and LaFerrari). 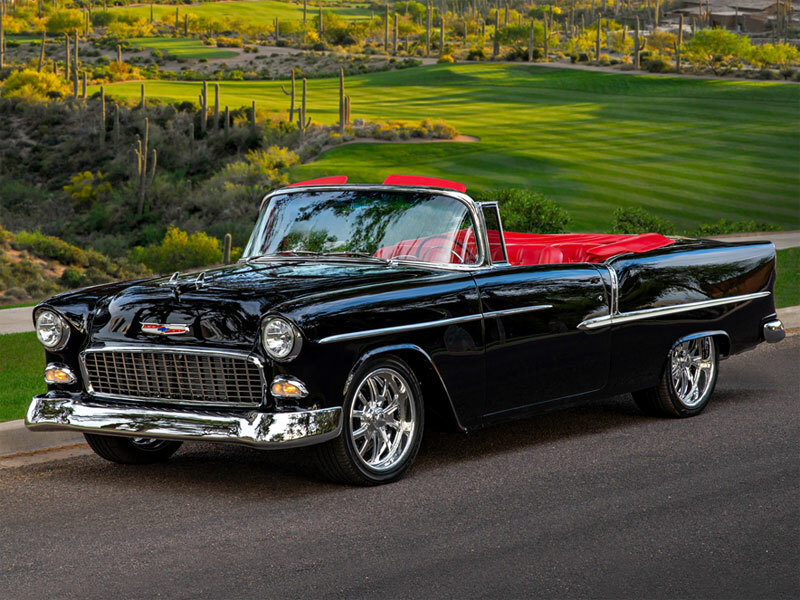 This outstanding example with fewer than 2,900 miles since new sold for $3,360,000, making it the top seller at RM Sotheby’s 2019 Scottsdale auction. 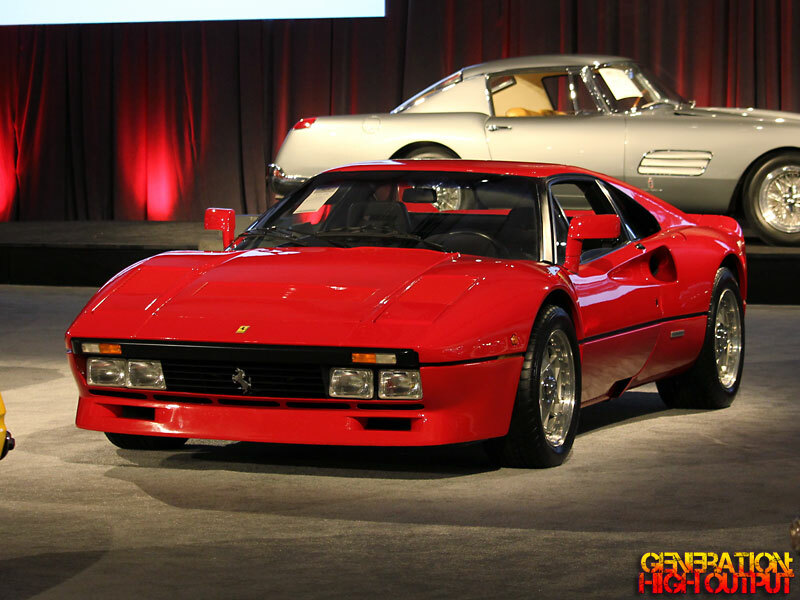 According to Hagerty, this is the highest price ever paid for a 288 GTO at a North American auction and 24 percent above the Hagerty Price Guide #1 value. Welcome to Not Sold Here, the series where we look at interesting cars which were never sold in the United States market, but have made their way to American soil. 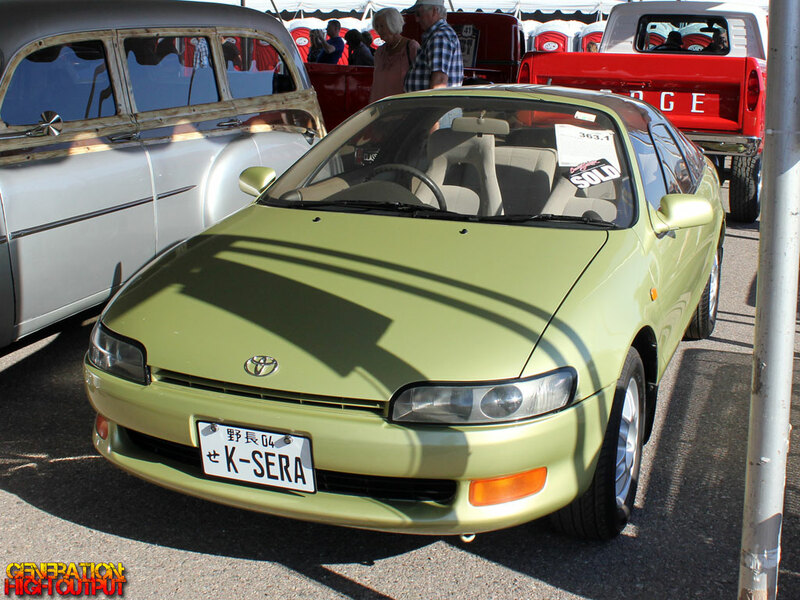 Today’s feature car is a 1990 Toyota Sera, a sporty, compact car from Japan. About 15,941 vehicles were produced during the five year production run from 1990 through 1995. 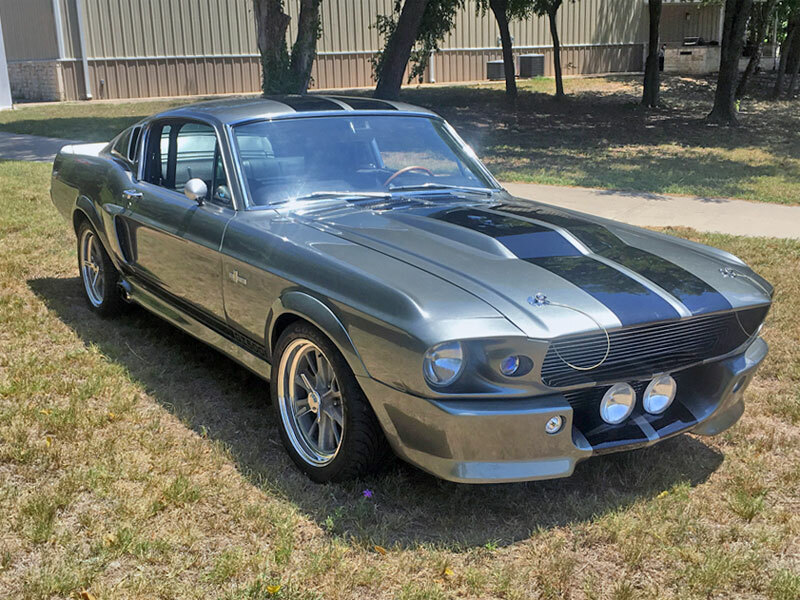 All models were equipped with a 1.5L engine producing 110 horsepower and 98 ft-lbs of torque, with either a 4-speed automatic or 5-speed manual available. The Sera is noted for its numerous unusual features and options. The most prominent feature of the Sera is its butterfly hinge doors, which open outward and upward instead of in the conventional fashion. 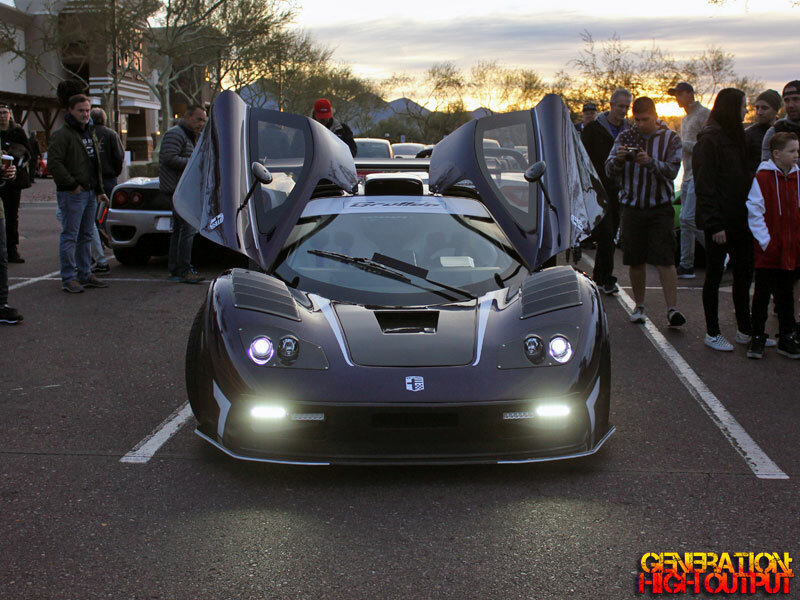 Gordon Murray, designer of the legendary McLaren F1, credited the Sera as his inspiration for the F1’s similar styled butterfly doors. The three-door hatchback has seating for four, though the backseat is quite small. Another unusual feature of this particular Sera is its paint color. The car was offered in 11 different colors. There were of course standard colors such as black, gray, red, and blue, but there were also less traditional colors like turquoise blue, burnt orange, and greenish yellow, which is what this car has. I really couldn’t imagine a color like this selling well in the U.S. market. Perhaps the most interesting feature of the Sera is its optional sound system, which this car has. 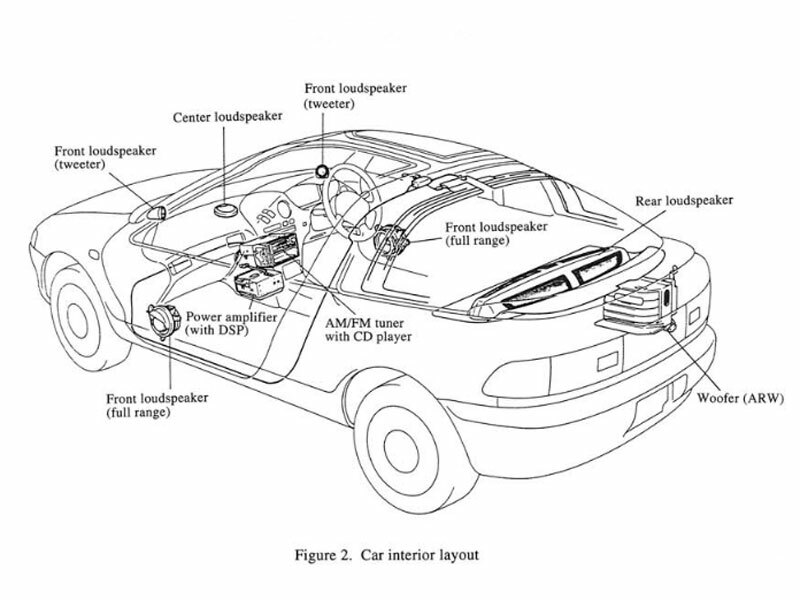 Toyota’s “Super Live Sound System” replaced the standard stereo with a 10-speaker system connected to a Digital Sound Processor (DSP). The complete system features 3 in-dash tweeters, 2 door speakers, 2 more tweeters and 2 cone speakers mounted in the rear deck, and a 70cm (4.7″) subwoofer in the trunk. A series of power amplifiers delivered 30 watts to each channel, with 36 watts to the subwoofer. A single DIN stereo incorporated an AM/FM tuner with CD player. While these metrics seem tame by today’s standards, they would have been impressive in 1990. The system has two modes, “Casual” and “Funky” which alters the sound profile. 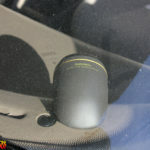 The angle of the rear speakers is actually changed via a small motor, which causes the sound to project into the car or bounce off the rear window glass. 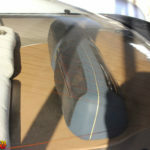 They rotate inside the plastic housing, in just 2 seconds. 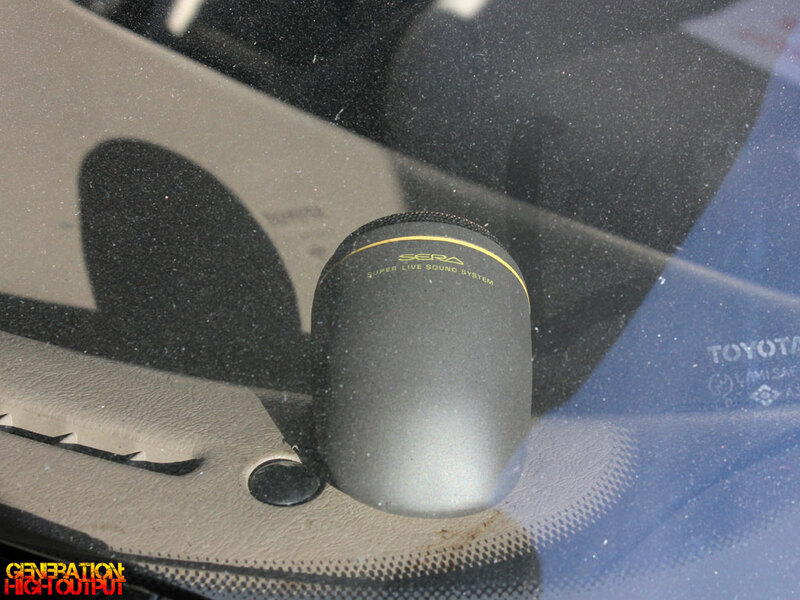 The housing was designed to withstand the vibration and temperature changes associated with being on the road. Toyota engineers developed the system to create “presence” and “depth” that could not be obtained with conventional car audio equipment. 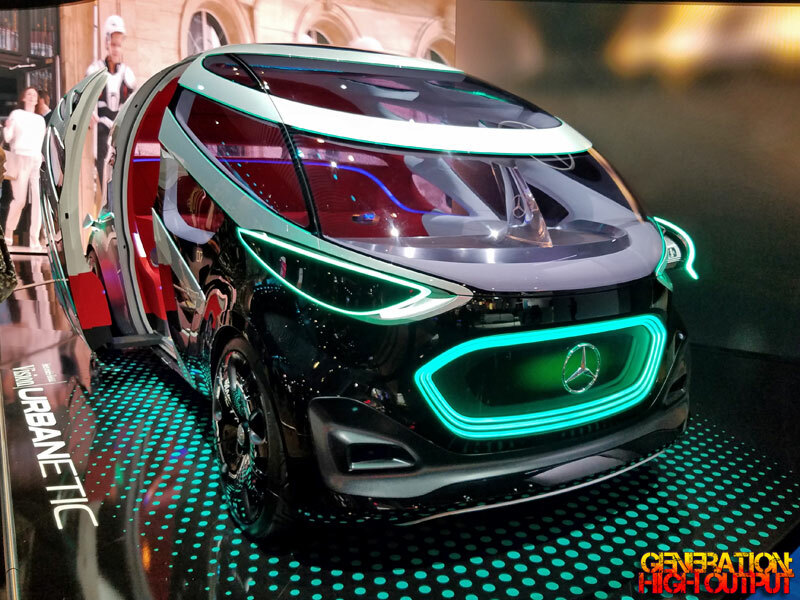 It simulates the feeling of being at a live concert, which Toyota hoped would make the car more appealing to young people. According to Wikipedia, a functioning SLSS audio system is one of the most desirable of the Sera’s many options. This car sold at Barrett-Jackson’s Scottsdale 2019 auction for $14,300 US (including buyer’s premium). 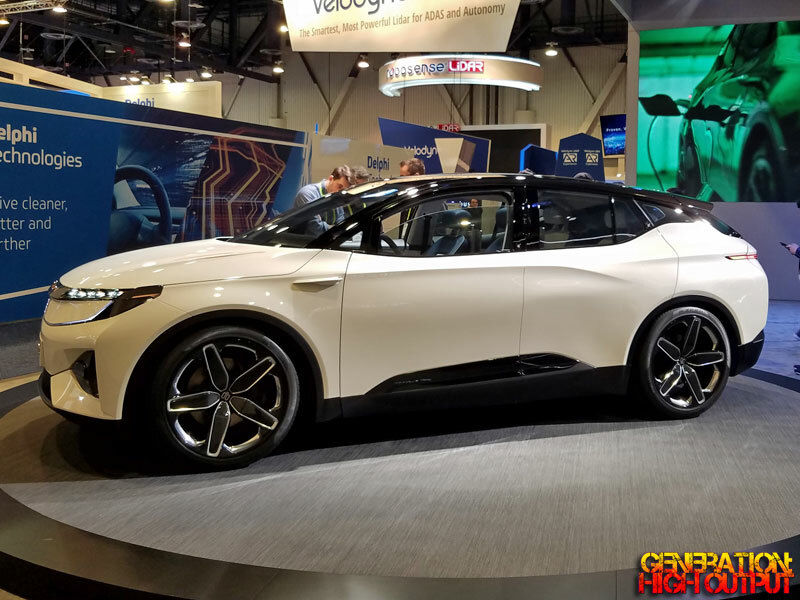 While it may not look as flashy as a Corvette or many of the other cars sold at the auction, the Sera is an automotive curiosity with some very unique options that I think makes it quite interesting. When thinking about Italian cars, brands such as Ferrari and Lamborghini probably come to mind. But there are many, many others – Maserati, Fiat, Lancia, Abarth, Alfa Romeo, to name several. 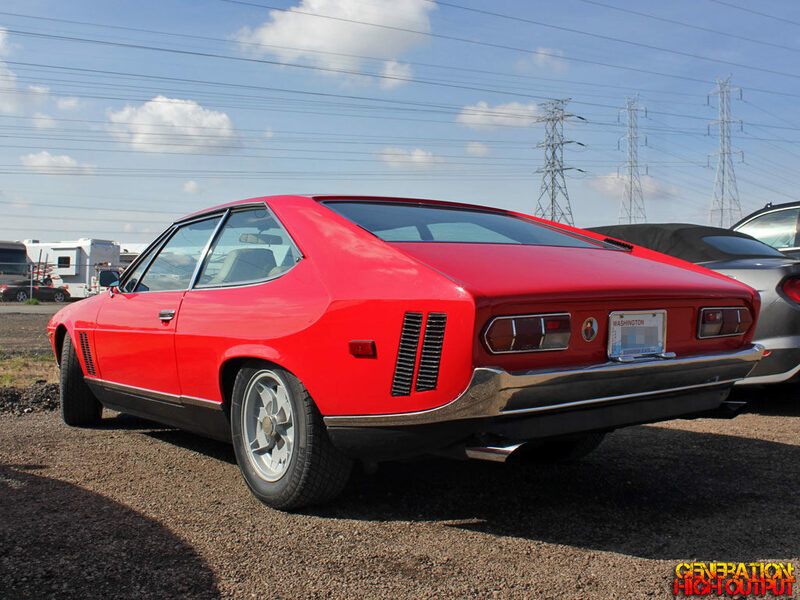 But there are also the lesser-known Italian marques like DeTomaso, Intermeccanica, and Iso. Today’s post is about that last one – Iso. Founded in 1939, they made cars and motorcycles in Italy through 1974 when the company went bankrupt. 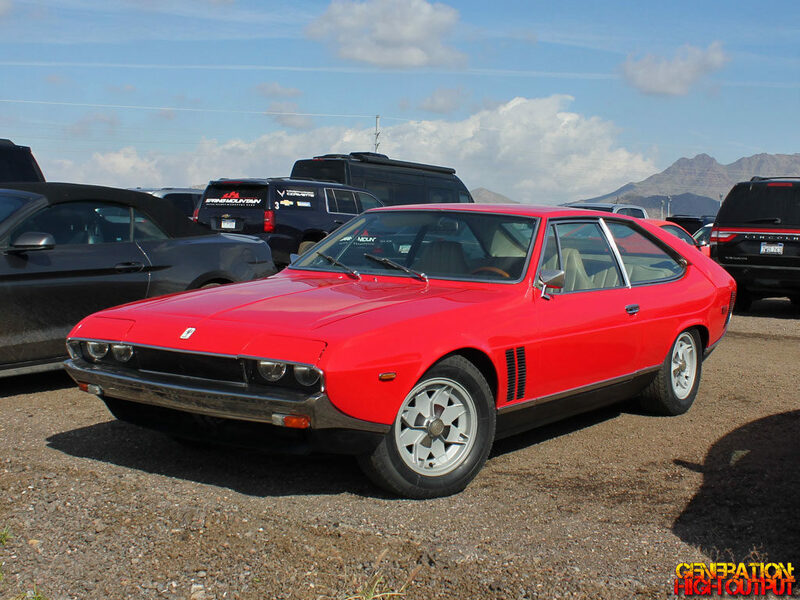 I have previously written about the Iso Rivolta Fidia S4, which was briefly the world’s fastest 4-door car when it was introduced in the late 1960s. Around the same time, Iso was also manufacturing this car, the Lele. 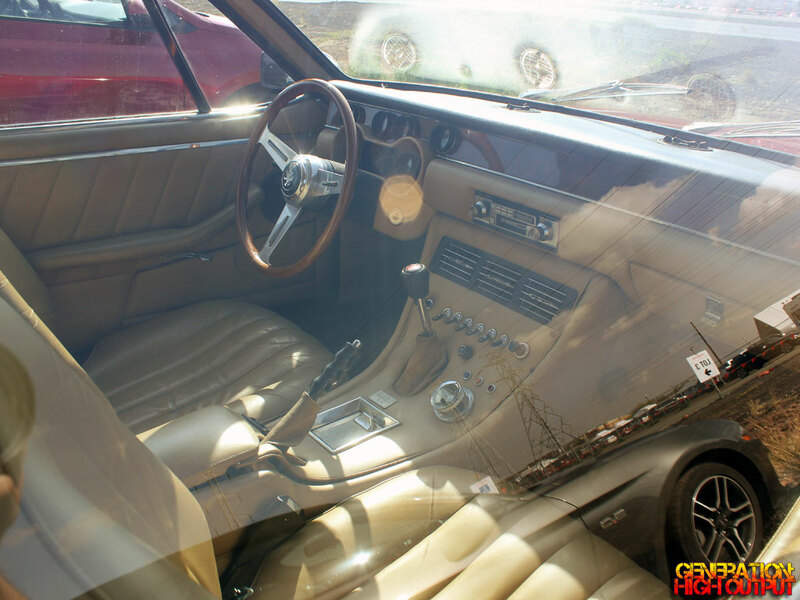 With its 2+2 layout, it would likely have been a competitor to the Lamborghini Espada, another Grand Tourer. The Lele was one of the last models that Iso made before shutting down production entirely. I stumbled across this car at the Barrett-Jackson 2019 collector car auction in Scottsdale. Funny enough, the car was not part of the auction, but rather parked outside in the parking lot! 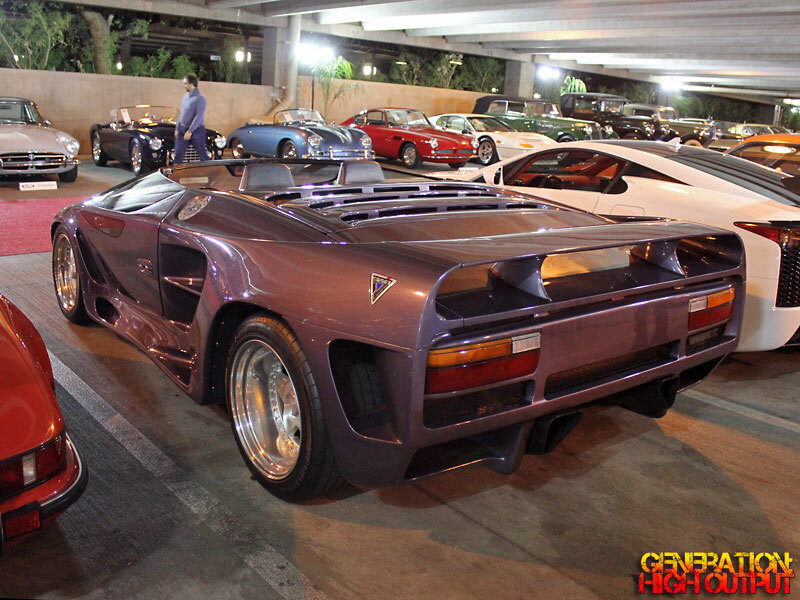 It’s not often that I see a car I cannot identify, and I thought at first it might have been another Lamborghini Islero, as they have quite similar body lines. With no visible badging, I went in for a closer look. The only emblem was a small Iso Rivolta badge on the hood. These are extraordinarily rare cars, with only 285 produced during the five year production run. The chances of simply happening upon one in a random parking lot are unbelievable! After some research online, I learned that the cars came with either small block Chevy or Ford engines. I am not sure which engine this car has, though the split is pretty even with 125 of them being Chevy powered and 160 of them Ford powered. The Hagerty price guide places the value on these cars at about $30,000 in Fair condition to $70,000 in Concours condition. For those who dream of owning an Italian sports car but with a Ford or Chevy budget, the Lele may be a great alternative to the more common Italian brands. I think it is a super neat car and would love to own one! 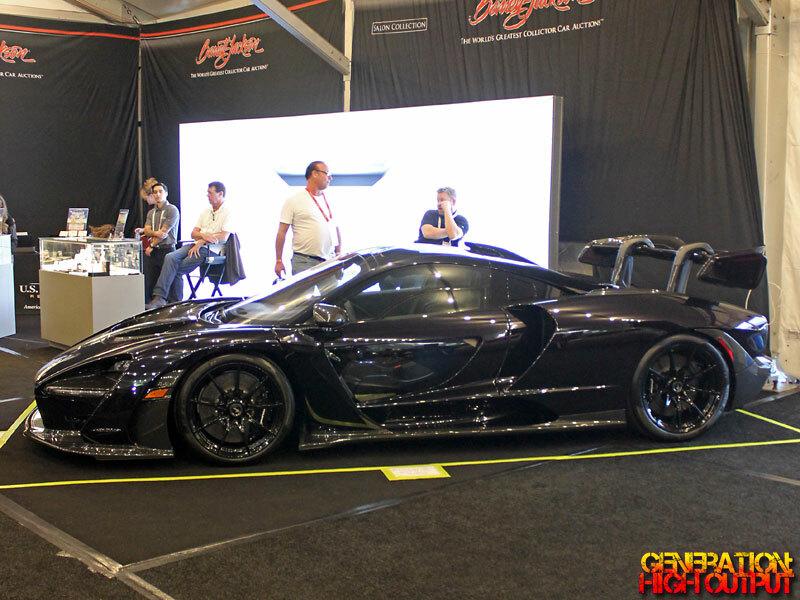 This 2019 McLaren Senna (Lot #1405) was the top seller at Barrett-Jackson’s Scottsdale 2019 auction, where it sold for $1,457,500 (including buyer’s premium). 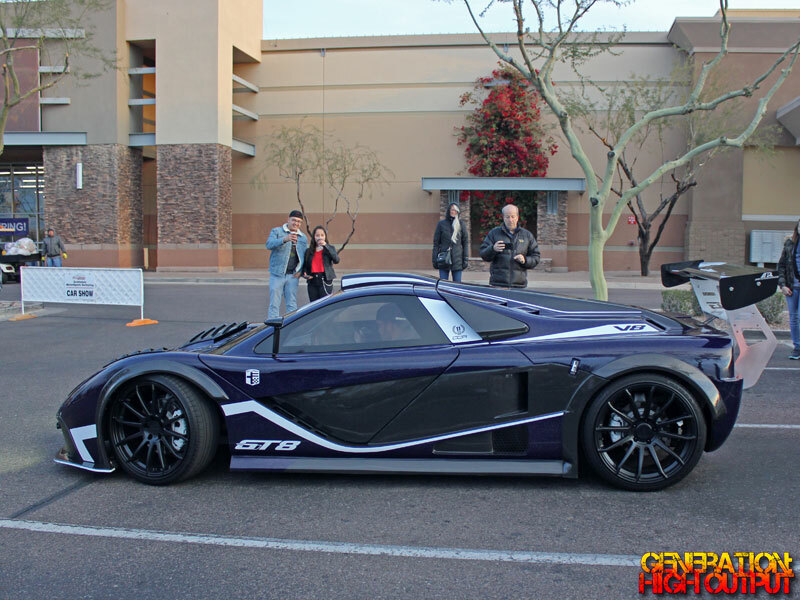 The car features a 4.0L twin turbo V8 engine producing 789 horsepower and a 0-60 mph time of 2.8 seconds. The car is chassis #005 of 500 built, and is 1 of approximately 120 in the United States. The 2014 Mercedes-Benz G63 AMG 6×6 (Lot #1410) is an ultra-rare vehicle, one of approximately 100 produced worldwide. The sport-utility truck is enormous in every measure and sold for $1,210,000. This 2012 Lexus LFA Nurburgring Edition (Lot #1412) is one of 500 cars produced, and 1 of 50 with the special Nurburgring package. It features a 4.8L V10 engine producing 562 horsepower with a 9,000 rpm redline. The car sold for a record-setting $918,500. 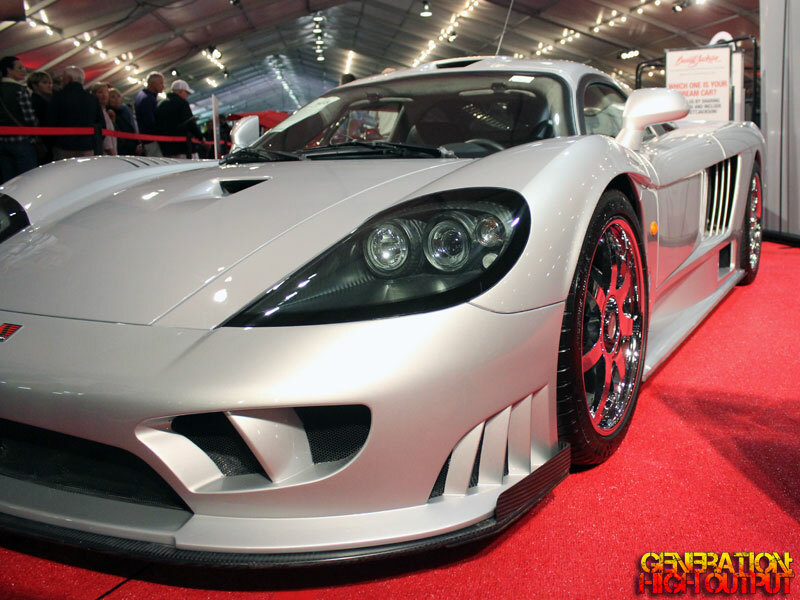 The 2005 Saleen S7 Twin Turbo (Lot #1415) is an extremely limited production supercar built in America by Saleen Automotive. Powered by a twin turbocharged 7.0L Ford V8 engine, this 750 hp car boasts world class acceleration, handling, and braking. This car is a rare low mileage example, with just 240 miles on the odometer. It sold for $550,000 ($687,500) including buyer’s premium. In the list of top-selling cars for 2019, spots 5, 6, and 7 belong to these three Heritage Edition Ford GTs. 9th place was another tie, with these two cars selling for $363,000 each. 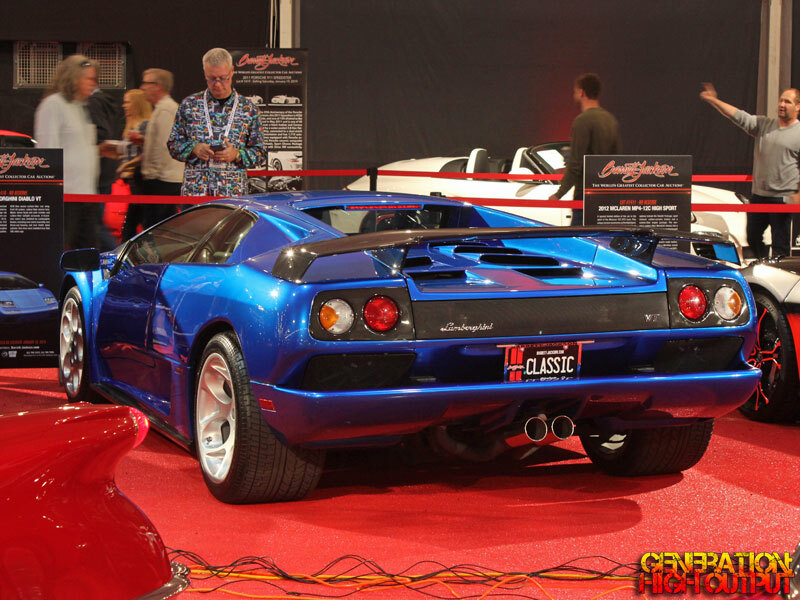 The 10th most expensive car sold at the 2019 Barrett-Jackson Scottsdale auction was this 2001 Lamborghini Diablo VT (Lot #1416). It wears a beautiful Monterey Blue over tan leather with Lamborghini’s signature 6.0L V12 engine providing ample power and performance. 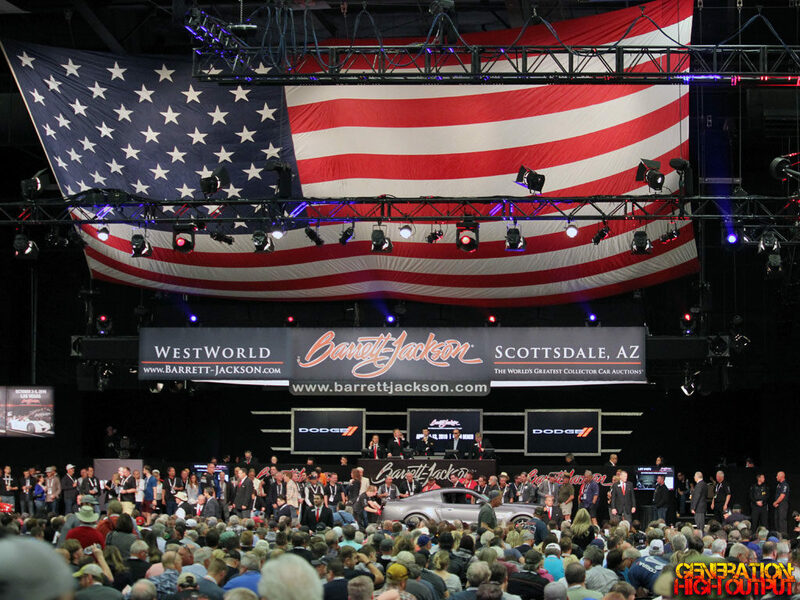 Every year in January, I find myself wondering how Barrett-Jackson is going to top their recent Scottsdale collector car auction in the upcoming year. And somehow they do, time after time. The 2019 auction saw higher numbers across the board – more cars sold, more sales, and more money raised for charity than last year. 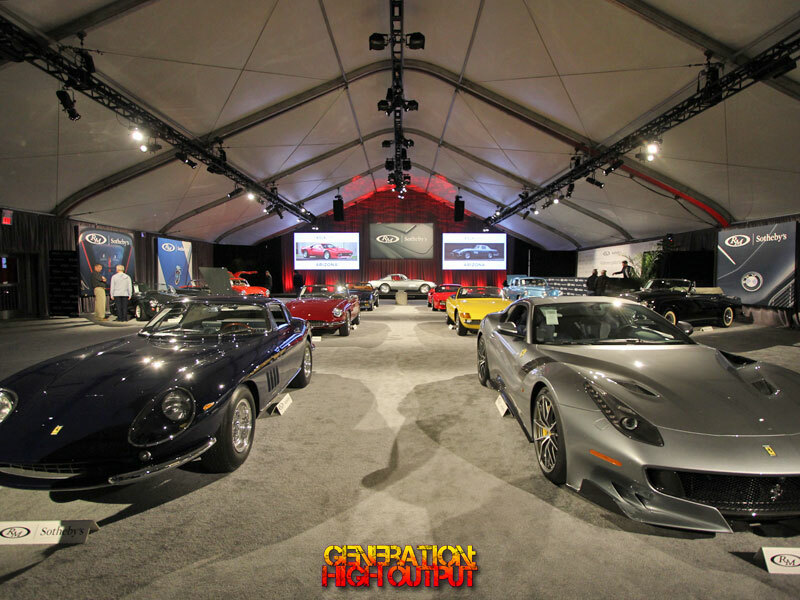 While most people think of Barrett-Jackson as a car auction, they also sell a lot of memorabilia – vintage gas pumps, signs, and various other items. 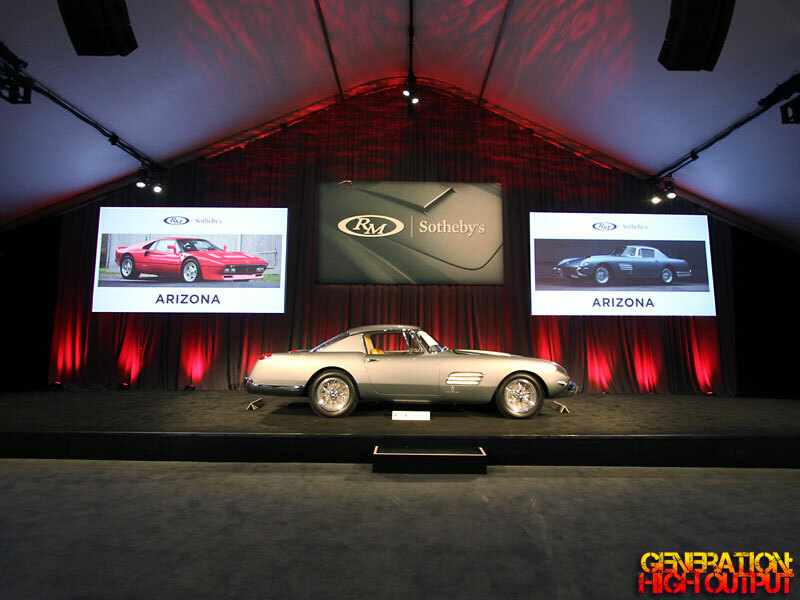 This year, the Scottsdale auction brought in more than $118 million from auto sales, $4.05 million from automotive memorabilia, and more than $9.6 million in charity auctions, bringing the total auction sales to more than $131.6 million. In the memorabilia category, more than 1,500 lots were sold, with the top seller (Lot #9499) a full size carousel from 1962 fetching $506,000. But it’s not just about big sales for supercars and resto-mods. 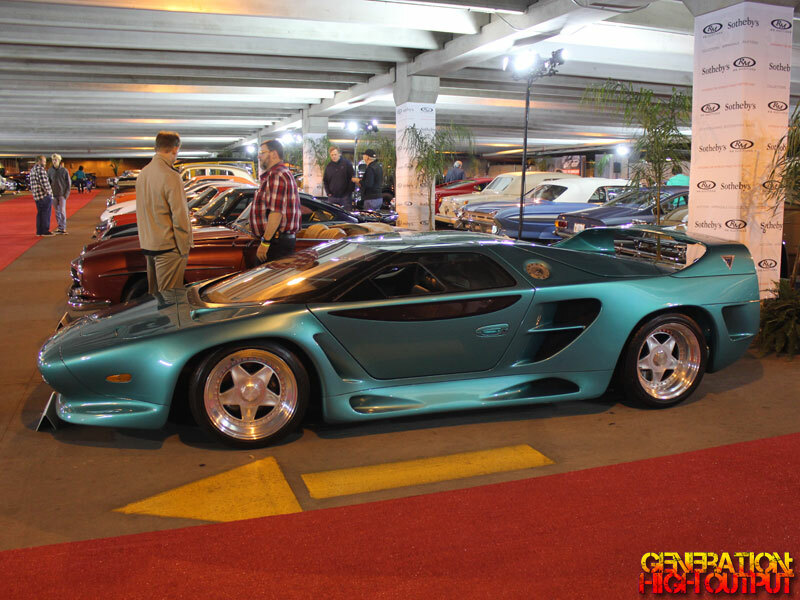 Barrett-Jackson does a lot for charitable causes as well. 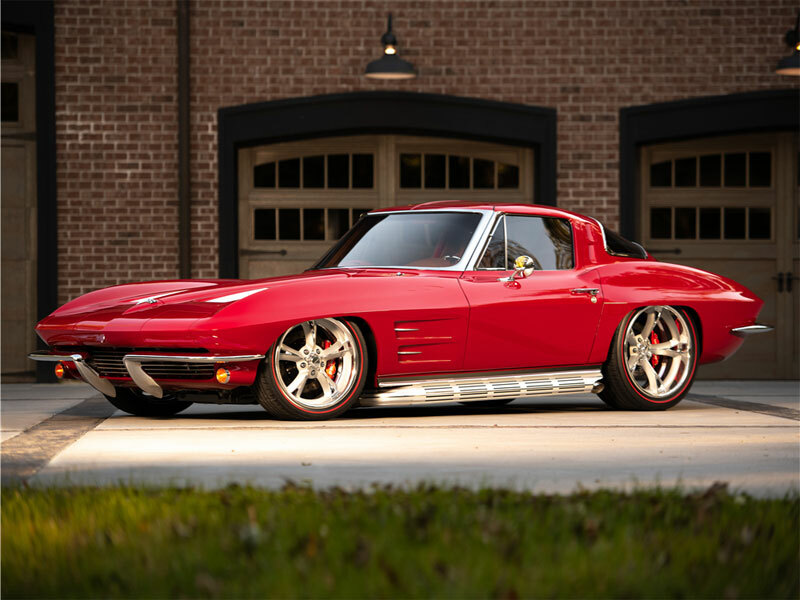 The 2019 Scottsdale auction featured 16 special charity auctions which raised $9.6 million – more than any single year in the company’s 48 year history. As you can see from the top sales, supercars and other limited-production vehicles remain in high demand. 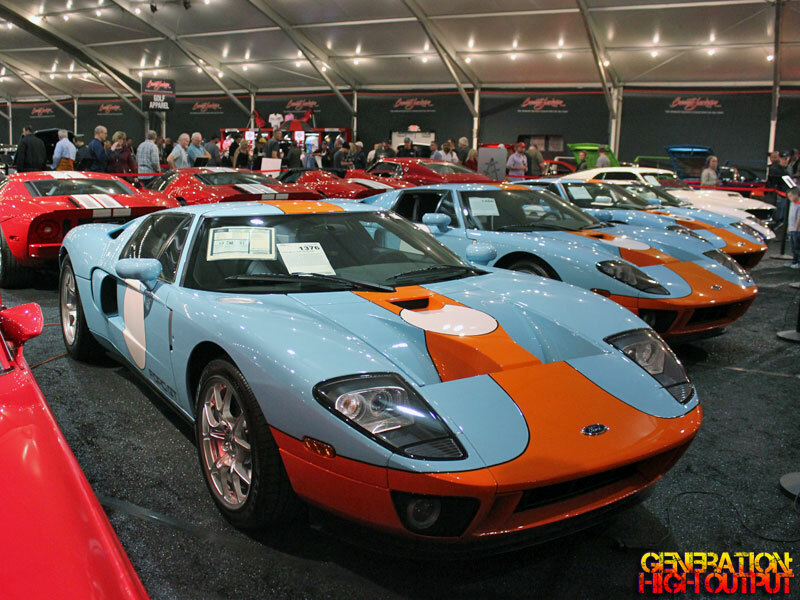 The market for the 2004-2006 Ford GT vehicles is red hot, with eight of the 4,038 cars built sold at the Scottsdale auction. Low-mileage examples and special options like the Heritage Edition package set record-breaking prices, with the top car (Lot #1313) selling for more than half a million dollars. 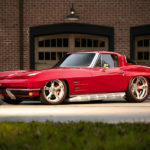 To no one’s surprise, Chevrolet Corvettes continue to dominate the auction catalog, with more than 100 different vehicles from all eras offered for sale. Early Corvettes (1953-1962) fetched the highest prices, with numerous examples selling in the high $200,000s and two cars (Lot #1451.1 and Lot #1440) both selling for $330,000. One thing that surprised me about the Scottsdale 2019 auction was the vast number of 2003 and up Bentley Continental GT models for sale. I’ve been attending the Barrett-Jackson auction for well over a decade and have never seen so many Bentleys as I did at the 2019 auction. For some reason, Bentley owners all decided to part with their cars this year, creating a real buyer’s market for these cars. 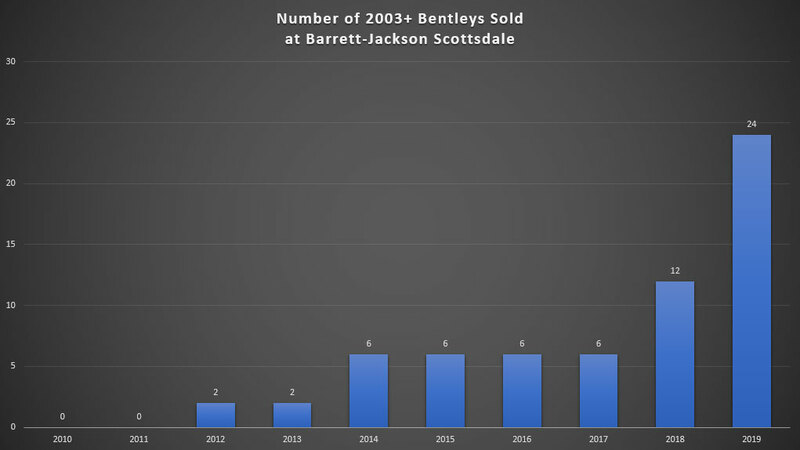 In fact, I actually researched Barrett-Jackson’s auction catalog going back 10 years and created this chart of 2003+ Bentley models offered for sale by year. 2019 was the highest ever, with 24 vehicles offered for sale. The average sale price for an 03+ Continental GT was $73,327, while the cheapest example (Lot #1552.1) went for just $33,000. 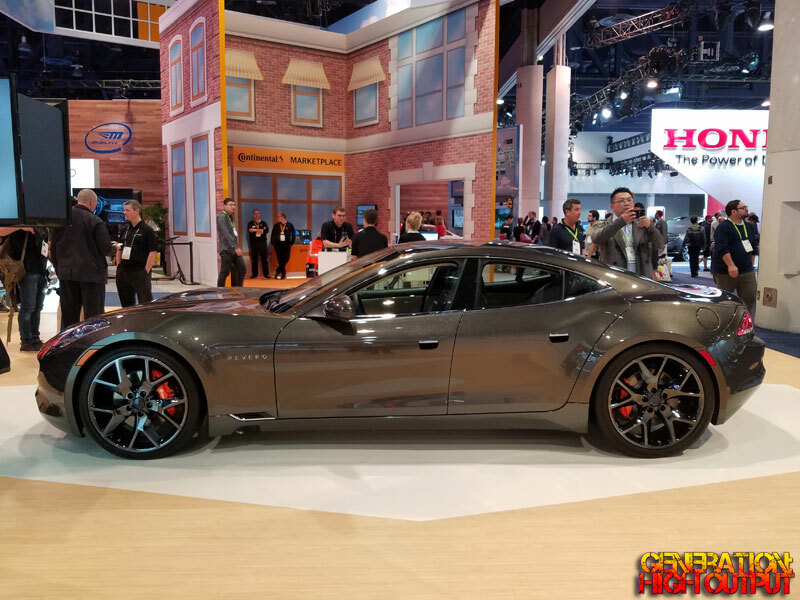 2019 was another record-breaking year for Barrett-Jackson, and I cannot wait to see how they top this year’s excitement again next year. I am confident that they will continue to do so as they approach their milestone 50th year in 2021.